This 'new build' insertion between Bligh's existing offices and the 'Brewery Tap' near the Westgate Towers in Canterbury comprised a completely contemporary interior set against the medieval frame of the existing offices. 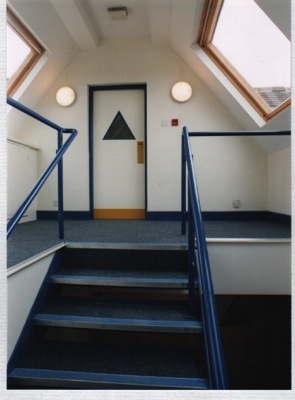 This stairwell inspired the new graphic for the company, incorporating the international wiring colours and the triangle of the gabled roof. After a catastrophic fire, this former run-down hotel was converted to apartments. 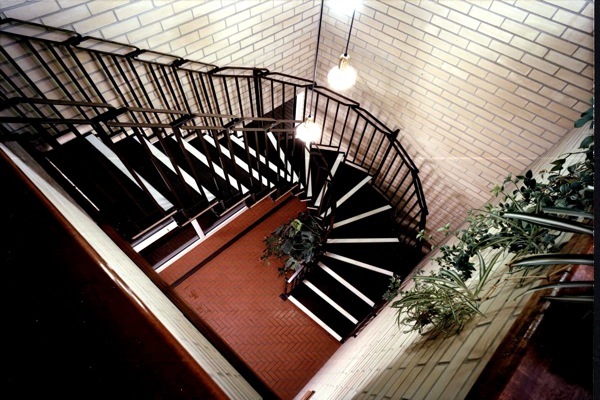 The original stairwell had all but disappeared, but from details culled from the Conservation Officer's memory, the grand helical stair was reinstated, with a fine lantern crowning it. Our former offices were linked at ground and semi-basement level, with an elegant 'conservatory' at rear, containing a floating star reminiscent of a companionway, taking references from the seaside location. After a fire devastated one of our flooring contractor's premises, we were asked to put back a simple warehouse and office block, to a tight budget. 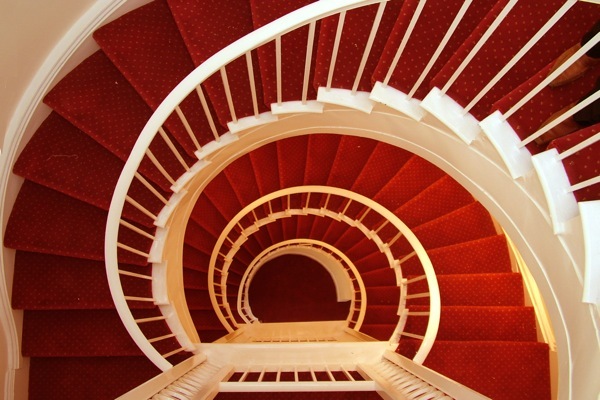 This stair was a kit of parts that suited the bill. 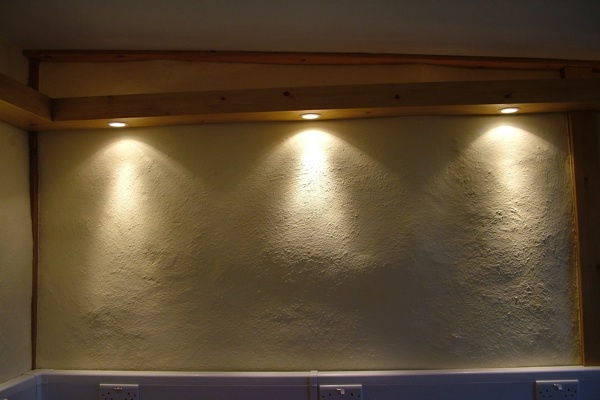 A straw bale music studio in Saltwood, it replaced a sectional concrete garage.